Family and friends of Anthony Sheperd are raising money for the nonprofit Help Hope Live to fund uninsured medical expenses associated with transplantation. Anthony has chosen to fundraise for Help Hope Live in part because Help Hope Live assures fiscal accountability of funds raised and tax deductibility to the full extent allowed by law for contributors. Contributors can be sure donations will be used to pay or reimburse medical and related expenses. To make a tax-deductible donation to this fundraising campaign, click on the Give button. 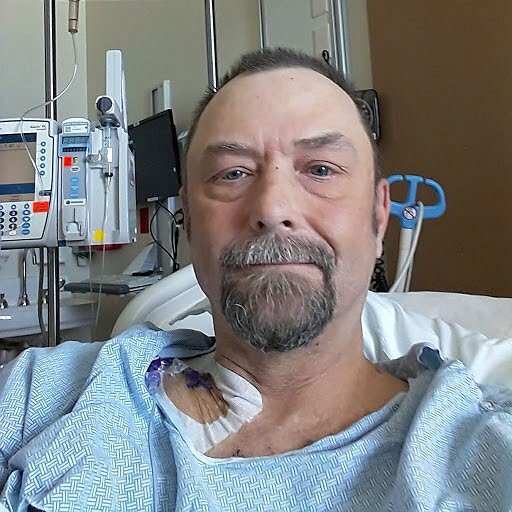 Tony has been admitted to the ICU at the University of Utah hospital waiting for a heart transplant. Anthony, I saw your campaign while checking in on my own. I am post now 4 years a few days ago from a double transplant, liver and kidney. Performed at Emory University Hospital In Atlanta. It has taken some time to feel better. I contracted the CMV virus from the donated organs and it was treated for more an two and half years before it went dormant. I hope you have never had a problem with it as it makes you feel like you are carrying flu symptoms that never go away. It has been much different since it went dormant and over the last year, I have begun to feel human again. I sincerely hope your second goes off without a hitch and I will put you in my Prayers. You know we always give each other crap, but you know I Love You!! Stay strong and mean!! Hi Tony, I really hope you are doing better. You look good in the pictures Tammy put on Facebook. Love and prayers to everyone. I hope you get to feeling better soon my friend ! Donating to your transplant fund now. Prayers and best wishes for you and your family. Thinking of you and sending our love and prayers. Tony I’m thinking of you and sending positive energy your way. Stay strong... you got this! You beat the odds before you can do it again. Love ya! Hang in there my friend!! We love you and we will help any way we can! Sending many hugs and lots of prayers!! I love you honey. We need many more years together so we can spoil grandkids! Its not very much right now dad. But I love you and I need you!